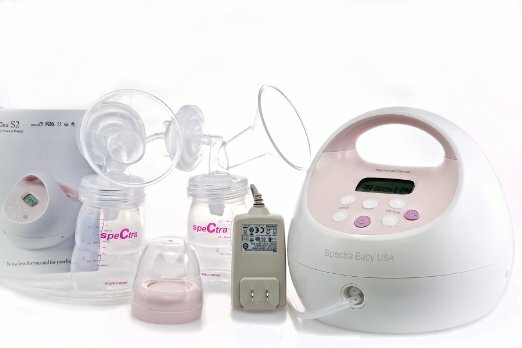 If you live in an apartment or condo, you will know the struggle - there are a million baby products but space is so, so limited. You do want to set up your nursery and have everything you need nearby and handy, but how do you do so? 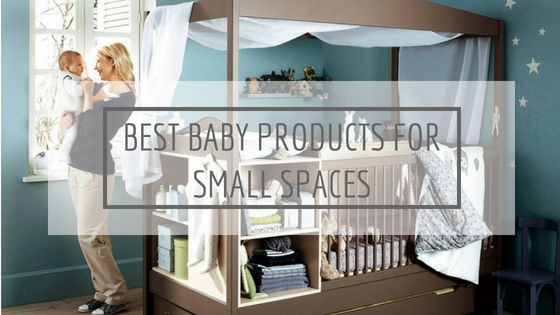 While it certainly does take some creativity in managing and arranging your layout so that you can maximize the usage of your limited space, having the right baby products is key to solving small space problems once and for all. Here are our top 8 picks of the best baby products that will help solve your small space problems without compromising practicality and style. 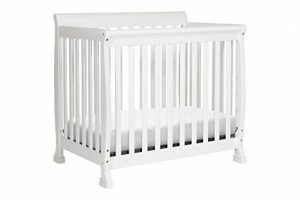 While you can skip the baby bassinet stage (in fact, this is what you should do if you have small space problems), one thing that you should not, and cannot eliminate from your baby register is the baby bed crib. With a mini crib, this will solve your small space problem once and for all. The Davinci Kalani 2-in-1 Mini Crib & Twin Bed is one of the best cribs for small spaces that will not take up as much precious ground space as the average crib size. It is also one of those best convertible cribs, you know, cribs that turn into toddler beds with a few attachments so you don't have to buy another toddler bed when baby has outgrown the crib. With wheels, you can even move it around the house including your bedroom if you wish to co-sleep with baby. As featured in our twin nursery ideas article here, two mini cribs like these make for the best twin cribs for families that are having two bundles of joy. If space is truly limited, or if you do not have a designated nursery, another option we'd always recommend is the travel crib. It is light, portable and often doubles up as a playard for baby to play in a safe and enclosed space (and you won't need things like this then). Best of all, you can always fold it up and tuck it away when not in use if it is really taking up your space, otherwise, it is a better and lighter option for you to move around the house wherever it is needed. The Lotus Travel Crib and Portable Baby Playard is the best mini travel crib in our opinion and also our most favourite travel crib, and as its name indicates, it can be used as a baby's playard too. There are other options and if you wish to find out more, you can read our in-depth best travel cribs reviews here. Likewise, you can do the same thing with your high chair. Instead of getting a standard high chair that will stand out like a big elephant in your small dining room, you can get a travel high chair like the ciao! 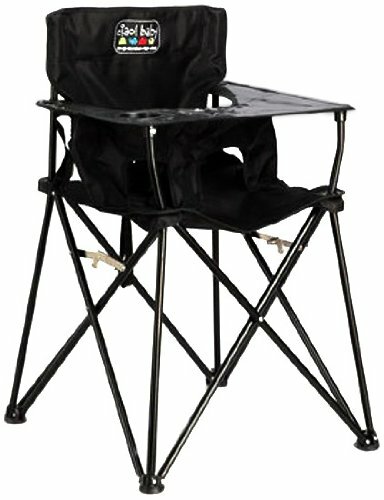 Baby Portable High Chair or a booster seat that can be seated on top of your normal dining chair. Both are very portable and can be packed away compactly when not in use so there won't be extra furniture laying around. 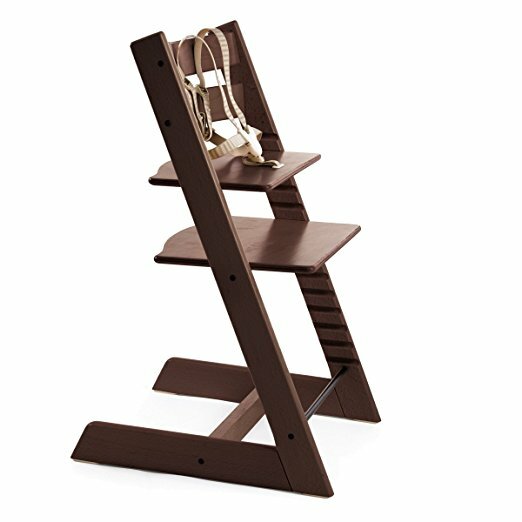 If space is not so limited and you would like a traditional high chair, get the Stokke Tripp Trapp. Unlike standards ones, it does not have a tray and therefore can be pulled right up to the table. Not only can baby eat on the same table, it takes up less floor space when not in use too because it can be tucked under your dining table just like your dining chairs. Naturally, small apartments come with small bathrooms. And with that, an additional baby bathtub can cramp what's already feel small. The Puj Tub is the best bathtub that come to the rescue. While many baby bathtubs are designed to fit in the sink like these ones here, the Puj Tub is the one that we'd say will fit every sink, no matter the size and shape, thanks to the soft foam material that it is made of. Once bathing is done, the Puj Tub can be hung flat to dry. By means of hanging flat, we mean the tub can be opened up to a flat piece of plastic. This way, it wouldn't be a bulk on the wall and get in the way i.e. 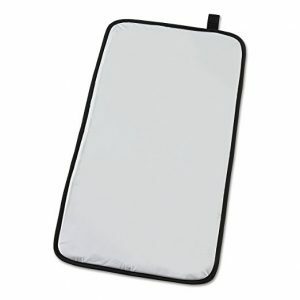 you wouldn't accidentally bump your head or hands against it - it'll be so unnoticeable! If you have a really small bathroom, we recommend going for the Puj Flyte - it is so compact, it can even fit into a suitcase! 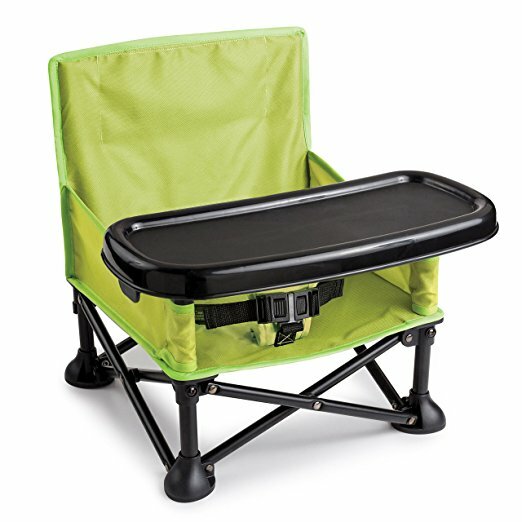 You may not have the space for a changing table if your room is really small and for that, we have a solution for you - portable changing pads and a diaper caddy (or hanging diaper organizer). The former can be used anywhere including when you're running errands outside the house while the latter can keep all your changing necessities in one place. 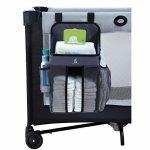 Of course, it won't be the same as a changing table where you can have all the necessities and baby's clothes all in one place, but hey, you will be surprised at just how much a best diaper caddy can fit - at least 6 diapers, 2-3 sets of change clothes, nappy cream, wet tissues and baby powder. You'll have to restock it pretty often but at least it wouldn't cramp up your space! Another product that takes up floor space is a baby jumper, but that doesn't mean you need to remove this form of activity from your little one. Instead, you can get a doorway jumper which unlike traditional jumpers that will take up considerable space, is hung on your doorway. 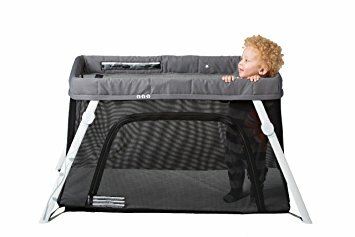 This way, your baby can bounce and jump away when desire after which you can stow it away and only install it again the next time you need to use it. Sometimes, it may not be that your space is small - toys strewn everywhere can make your space smaller than it is and this is the same on bigger houses too, which is why we have came up with some toy storage ideas for you here. 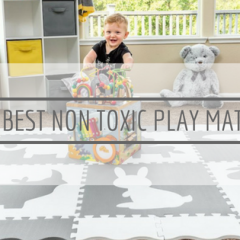 Playmats like the Play&Go Playmat and Toy Storage Bags is a brilliant invention that serves many purposes, all of which reach our ultimate goal of space-saving. Strewn out, it is a playmat and acts as a safe area for your child to play on so you wouldn't need to buy the foam pad ones that seem to be the norm nowadays. 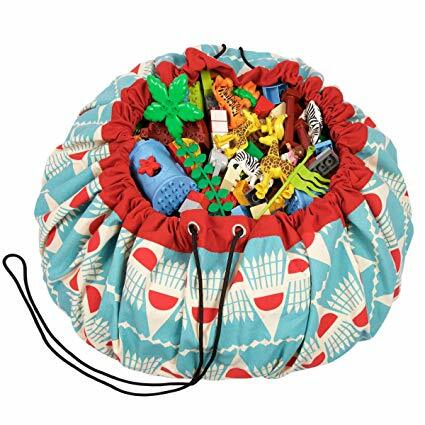 After playtime, simply pull the drawstring together and all toys that laid on top of it will be gathered effortlessly into the playmat, now in a sack-like bag and voila, it is now a toy storage! Put it in a corner or a closet until the next play time and there you have it - no containers/shelves that will take up permanent space! Small space is not limited to the home only - it can be that you have a small car and it became a challenge when you need to fit a car seat, or multiple car seats to bring your children out. 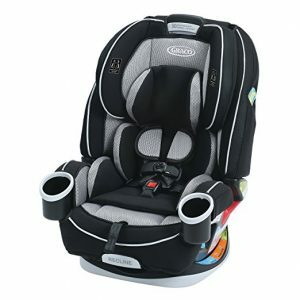 We have reviewed some of the best car seats for small cars here, but our top favourite is definitely the Graco 4ever All-in-One Convertible Car Seat because of its all-roundedness. 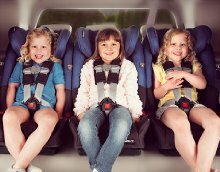 It is also the best combination car seat and fit almost into any car size, but to count the ultimate small car seat, it must be this one here which allow you to fit 3 across in any car, no matter how small which is why it is dubbed the best narrow car seat by many parents.